Our previous lesson focused on the major scale. 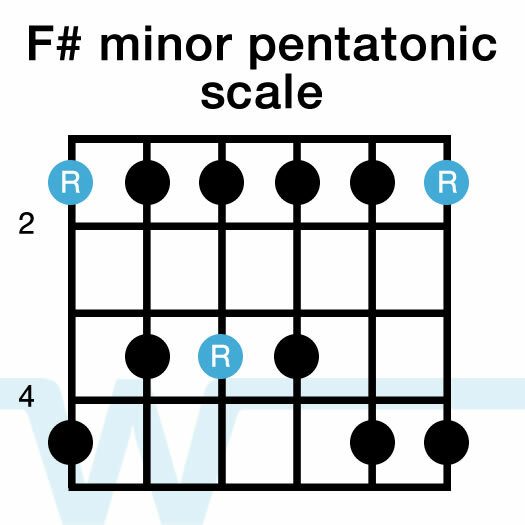 The minor pentatonic scale is the relative minor scale that complements the major scale. In the key of A, F#m is the relative minor. The blue notes indicate the root notes of the scale. Thank you, Eugene! Really appreciate it! 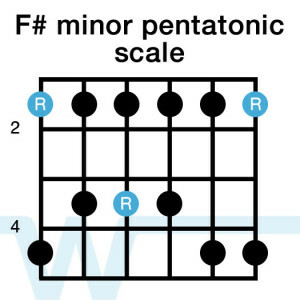 I am just wondering, what makes the f#m pentatonic so important, or was it just a random choice? does it have any relation to a reason you chose it ?